Four Winds in Shelton CT is a very secluded, well maintained Shelton CT condo community located off Constitution Boulevard near River Road. 55 attractively designed free standing cape/colonial style homes wind through 39 acres of tree lined streets in this charming planned unit development. This 'hybrid' type of condo living offers detached single family homes sold as condominiums with a maintenance free lifestyle. SEARCH Four Winds Shelton CT Condos For Sale. Homes can have 3 or 4 bedrooms and 2-1/2 to 3-1/2 baths. Square footage is approximately 2,000-3,000 s.f. with many homes offering additional square footage in finished basements. Common charges are calculated on unit size and are $375 per month. The monthly charge includes exterior maintenance, lawn/landscaping care, snow removal, and property management. Shelton property taxes are among the lowest in Fairfield county and presently average about $6,000 per unit, depending on assessment. Even though the Four Winds condo complex in Shelton CT is privately situated, it is only minutes to Route 110 (River Road) and Route 8 with commuting to the Merritt Parkway, Wilbur Cross, I-95 and Metro North. Local shopping and many restaurants are conveniently located just minutes from the condo. Westfield Mall Trumbull and Westfield Mall Connecticut Post in Milford are each about 15-20 minutes away. If you’re interested in purchasing a Four Winds condo and want to see what is currently available, click condos for sale in Four Winds in Shelton CT.
Have questions about Four Winds or any other condos for sale in Shelton or the surrounding area? Please contact me. 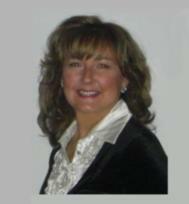 I will be happy to provide you with complete information about your condo complex of interest. If you are buying or selling a Four Winds condo and would like to know what it's worth, click here for a complimentary Shelton condo market analysis. Take a 2:08 virtual walk through this lovely community. A great location .... close to everything yet so private. See Four Winds Shelton CT Map. How To Practice Safe Sledding - Don't Follow My Lead!